The Galaxy S10 is expected to be unveiled at Samsung's Unpacked event in Barcelona next month. South Korean smartphone maker, Samsung, is celebrating its 10th anniversary in the smartphone market in 2019. The company has already clarified that it will be radically redesigning its line-up of phones as it looks to move into a new decade in the smartphone business. Although the imprint of this redesign is expected to show through in all its phones, it's the flagship devices that are expected to reflect this change most aggressively. 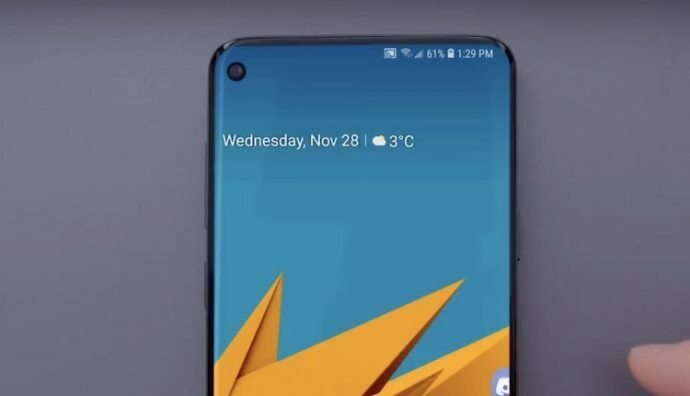 The first of which is the Galaxy S10, which is expected to be unveiled at the Mobile World Congress 2019 in Barcelona next month and bring with it some really interesting features. Here are the five most interesting ones. In a move away from what has been the norm for quite some time now, the Galaxy S10 is expected to come in as many as three different variants. That's according to a tweet posted by trusted tipster, Evan Blass, which shows off three different variants wrapped in cases. As Blass reveals, from left to right the three different phones are – the Galaxy S10E, S10 and S10 Plus. As per leaks and rumours, apart from slight differences in specs, the three models are also expected to differ in display size too. The Galaxy S10 line-up is also expected to feature bigger and better displays as compared to its predecessors from 2018. While the S10 Lite is said to measure about 5.8-inches, the S10 is expected to come with a 6.1-inch panel and the Plus variant going all the way up to 6.4-inches. Though none of these phones will feature foldable displays, the devices are expected to come with Super AMOLED panels with punch-hole cameras at the front – except for the Plus variant which is said to sport a double punch-hole for two camera set-up at the front. In terms of the resolution, all three displays are expected to support up-to QuadHD+ resolutions as well as Ultra-sonic in-display fingerprint scanner, said to be quicker and reliable current generation optical fingerprint sensors. 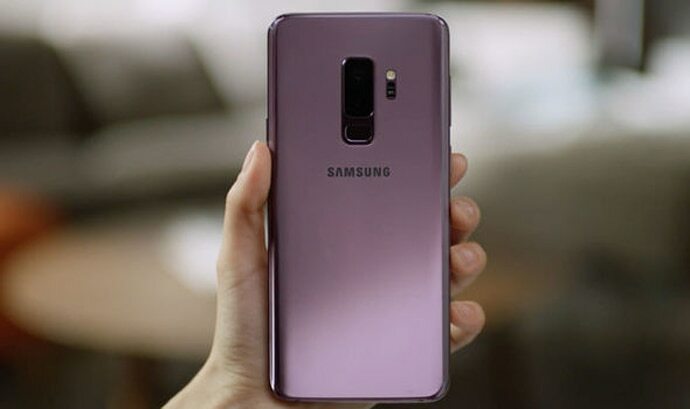 Samsung's latest flagship, the Galaxy S10 is also expected to bring with it a bigger battery to help it fight the growing competition in the market. While the Galaxy S9 brought with it a 3500mAh battery, the Galaxy S10 is expected to bring a substantially bigger 400mAh pack. This rumour looks quite likely to come true as Samsung has already released a teaser of the new phone that hints at a bigger, more powerful battery – one they could be picking straight out of the Galaxy Note 9 device. Another big upgrade expected to make way to the Galaxy S10 line-up is a new and improved camera set-up. With competing devices such as the Mate 20 Pro, and even its in-house budget phones such as Galaxy A7 and A9 getting more than 2 cameras, the Galaxy S10 too is expected to bring with it a set-up that features three – maybe even four – lenses. Other rumours also point to a new night sight mode for the phone to drastically improve low light photography on the phone. The Galaxy S10 is all but confirmed to also sport a newer SoC – Snapdragon 855 for the US and an upgraded Exynos variant for India. The newer SoC paired with improved RAM and flash storage should give the Galaxy S10 the power to compete with other flagships in the market. The Exynos variant of the phone that'll come to India recently got benchmarked on Geekbench, where, despite failing to beat the iPhone Xs' single-core score, it managed to emerge as the fastest chipset for an Android phone with a score of 4382 points.